The countdown is on: the Virgin Money London Marathon is just a few short months away. 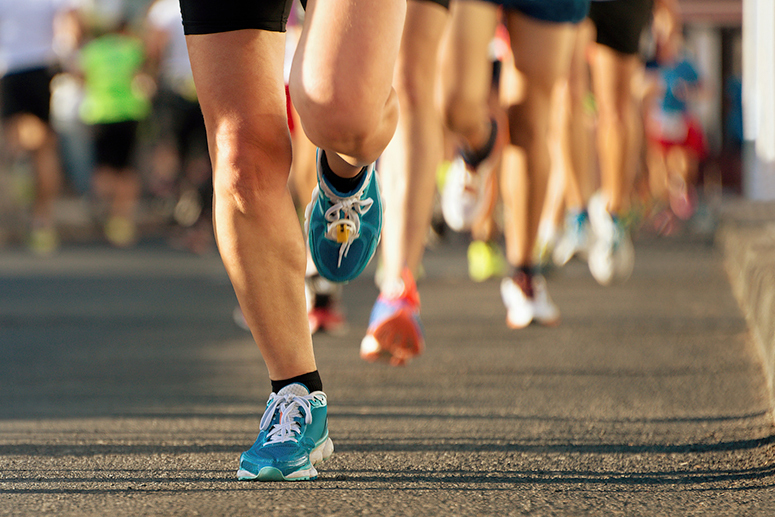 Whether you are among the 40 000 athletes running the grueling race, or you plan on supporting a runner or charity by cheering them on from the sidelines, you will need to stay at a hotel in London. In view of the next London Marathon, rooms get booked fast and rates skyrocket, so prepare early for Sunday, April 22, 2018 by finding the perfect accommodation for your Virgin London Marathon experience. Veteran athletes know that careful planning is key to a stress-free running experience. For this reason, we’ve selected a few choice hotels that can fit your needs: some near the start lines in Greenwich for athletes, some near the finish line for supporters, and some budget-friendly options in great locations for anyone coming to London for the marathon. The ideal location of the Novotel London Greenwich hotel makes it a natural choice for athletes looking for convenience and a great range of services. All 3 start lines are located in Greenwich park just a 10-minute walk away, so you can avoid public transportation on race day and still have plenty of time for a leisurely pre-run warmup. Additional upside: you can easily take a walk through the park the day before and scope out the location to avoid stress before running your marathon. 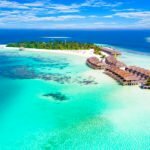 With 151 rooms, this hotel is on the smaller side, which makes it great for relaxing away from the crowds — you’ll love the steam room in the fitness center, a real boon for sore muscles! Free Wi-Fi, all-day restaurant and room service, and an excellent breakfast buffet round out this solid choice in a great location. Located less than 30 minutes on foot away from the start lines, this 5-star jewel takes advantage of its spectacular location on the Greenwich peninsula. Most of its facilities overlook the river Thames, as well as many of the 453 rooms you can choose from. Pamper yourself in the spa and wellness center with an energizing sports massage, then unwind after the race with a dip in the indoor pool. 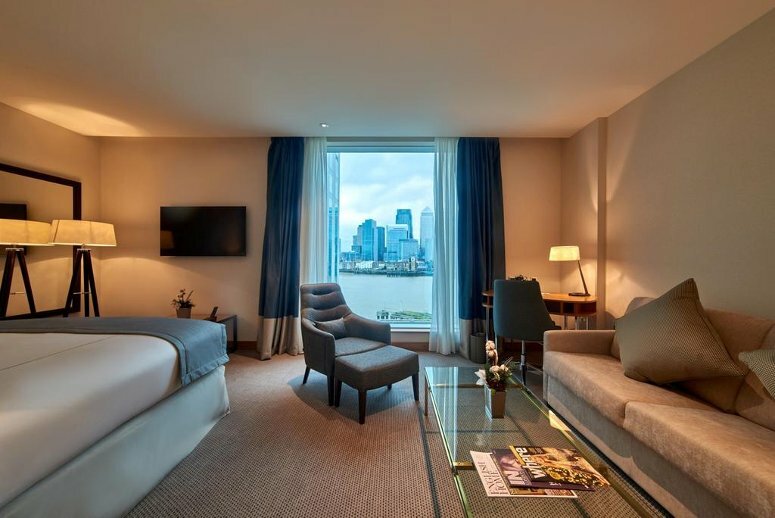 This brand-new luxury hotel is right beside the O2 Arena, London’s famous multipurpose arena where concerts, events and shows are often held. The glamorous Sky Bar is just one of the many entertainment and dining options, which include 3 restaurants and 2 bars. Come for the London Marathon, stay for the fun! 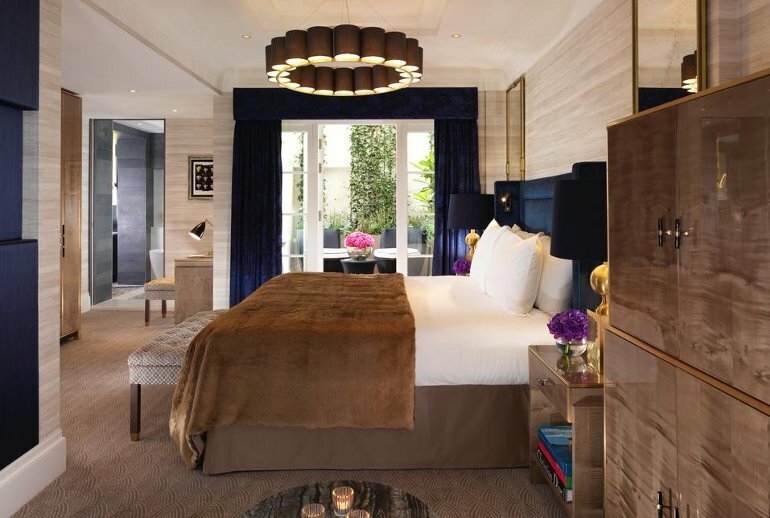 Running the world’s most famous marathon is a once-in-a-lifetime experience, so why not top it off with a stay at the luxurious Grosvenor Hotel Victoria? Its location in the heart of London, walking distance from Buckingham Palace and just down the road from the finish line, makes it a strategic choice for relaxing with your support team after the race. Look forward to immersing yourself in authentic Victorian grandeur, with original gold and marble detailing in common areas, as well as enjoying hi-tech contemporary comforts in one of the hotel’s 345 rooms. Designed and constructed in tandem with transportation hub Victoria Station in 1862, its physical connection to the station will make it easy to get around throughout your visit: before the race to check in at the Expo, on race day for stress-free transport to the start line, and after the marathon for some well-earned sightseeing. The classic Georgian exterior of the Flemings Mayfair hotel holds a surprisingly bold and contemporary interior style, with luxurious textiles and lavishly comfortable furnishings. Located in the heart of the prestigious Mayfair neighborhood, it makes the ideal home base for you and your support team to prepare for race day and recover after your athletic feat, just around the corner from the finish line. Recent renovations in 2016 also added the Michelin-starred restaurant Ormer Mayfair, with an ever-changing gourmet menu by British chef Shaun Rankin: the ideal celebratory dinner! Guests also love the Drawing room, so make sure to also treat your foodie palate to afternoon tea. 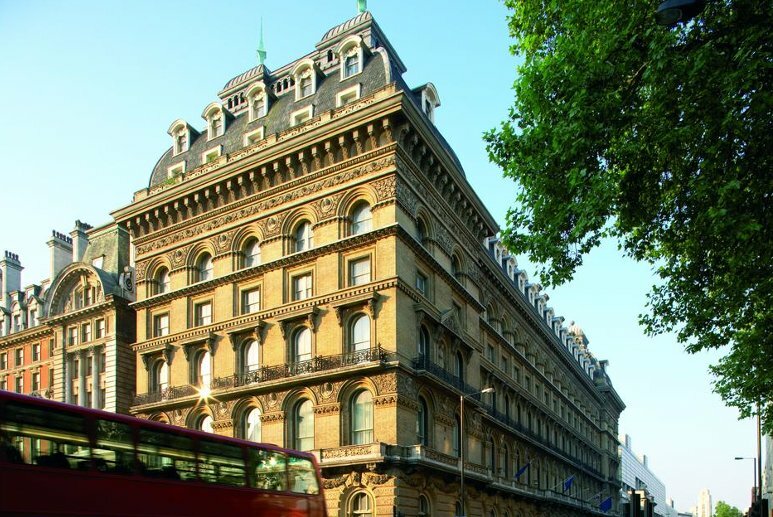 This boutique structure is a member of Small Luxury Hotels of the World, so you can be sure to find great service to make your stay in London a truly memorable one. 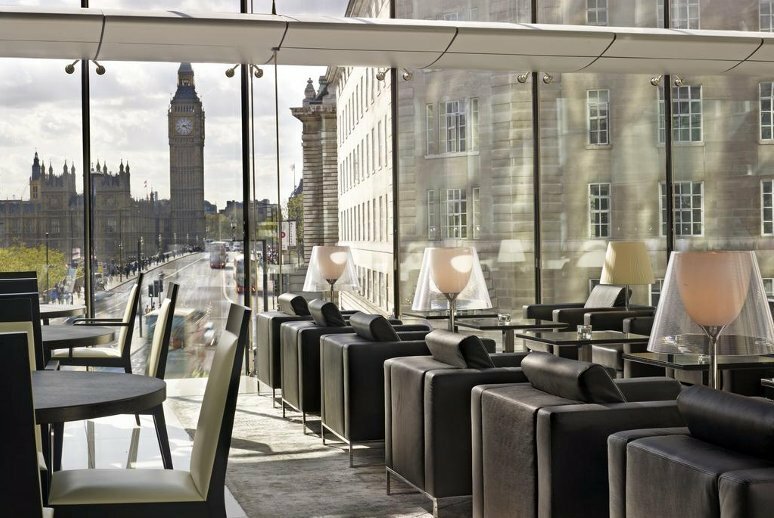 With an impressive 1019 rooms, the massive Park Plaza Westminster Bridge hotel is one of the city’s largest — and best located for sightseeing! Many of its rooms have an amazing view on the Big Ben and the London Eye, and being just a stone’s throw away from the race course makes it a great choice for spectators and athletes alike. The excellent spa and 24-hour fitness center will keep you pampered and in top condition for race day, with an indoor pool to help you recover to enjoy the city’s many attractions close by. 3 restaurants and a lounge bar offer a varied dining experience that gets consistently good reviews from guests. Pricing runs surprisingly affordable for such central accommodation, so you may even want to splurge on higher-tier suites that include an outdoor terrace, a real treat in downtown London. 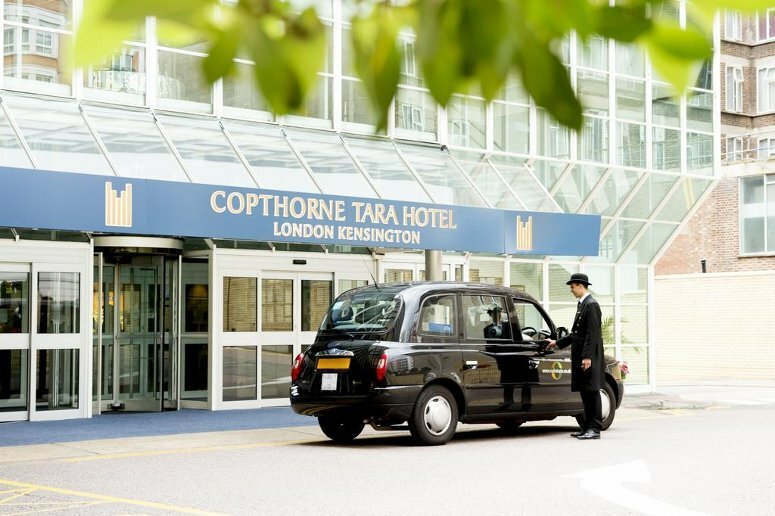 If you are looking for accommodation slightly out of the bustling crowds, but still conveniently well-connected to make race day stress-free, look no further than the Copthorne Tara Hotel in charming Kensington. 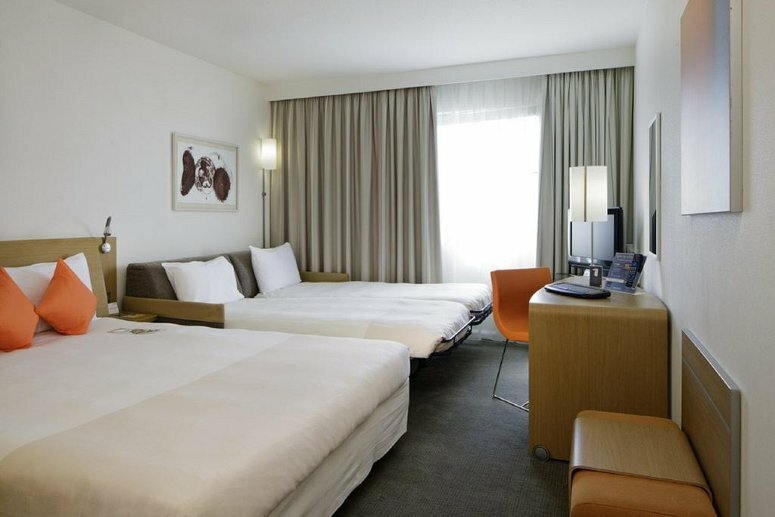 Its unassuming exterior hides a well-maintained and polished interior look, and the atmosphere is surprisingly tranquil and relaxed for such a large hotel. Kensington High Street and its underground station are just a 5-minute walk away, for easy race day transportation to the start line and from the finish line. 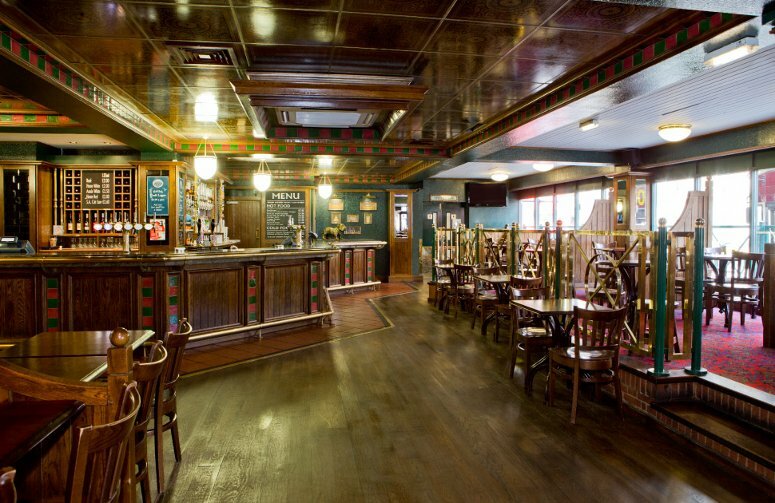 Dining options include 3 bars and 3 restaurants (classic European, southeast Asian and British pub fare), so you can be sure to find something to tickle your tastebuds! Trying to avoid the massive price rise for accommodations on London Marathon weekend? Pick a comfortable yet budget-friendly option like the Royal National. 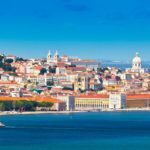 This 3-star hotel is consistently affordable year-round, and includes all the comforts you would expect and more, such as free wi-fi, continental breakfast and concierge service. It is located less than 10 minutes away from the Russell Square Tube station, which makes it a great starting point for visiting major London attractions, as well as getting around on race day when public transport is essential. London can get quite expensive in the dining department as well, but no fear: with 3 tasty yet affordable restaurant options and a bar, this hotel will also help you cut down on food costs to free up your budget for enjoying the rest of your vacation. You’ll feel right at home in the beautifully located Mercure London Bridge hotel; its smaller size and warm contemporary interiors are sure to make you feel welcome, right in the heart of central London’s business hub, on the southern bank of the Thames. Marathon spectators will find it very easy to walk to one of the most picture-perfect section of the race course, as it crosses the London Bridge just after mile 12; athletes will appreciate having a tube station just 10 minutes away, for stress-free transfer to start and finish lines. You’ll also love having 24-hour access to the hotel’s newly renovated fitness center, great for pre-race warmup and post-race stretch and recovery. 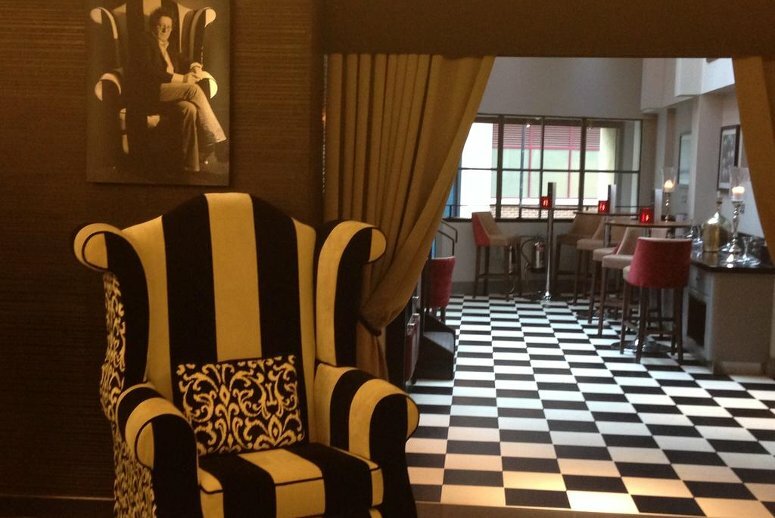 If you don’t feel like going out to eat and drink at one of the neighborhood’s many great pubs, the Loft Bar is a super chic spot for a celebratory drink, and celebrity chef Marco Pierre White’s on-site restaurant is a guest favourite. Keep in mind the many road closures — Rely on public transport! Plan to collect your Registration pack and number well beforehand, at the Virgin Money London Marathon Expo, April 18-21. Catch up with your team after the race in pre-designated meeting points, as cell phone service tends to get spotty. Make sure to read up ahead of time, either the Runner FAQs or the Spectator Info, to know what to expect. Find the perfect hotel for your needs, book early and enjoy your London Marathon experience: make it a weekend to remember!